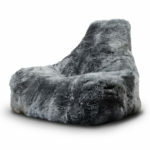 This rare, mighty beast of a designer sheepskin bean bag takes extreme lounging to a truly Jurassic and luxurious scale. No matter how severe your longing for some pure, unadulterated comfort, the Big Furry One will satisfy your needs…like, colossal style! 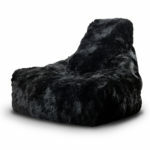 A true statement of luxury made from real sheepskin, this bean bag chair will become a fantastic piece for your home that adds style like no other. 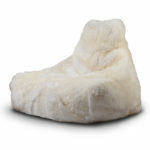 The MightyB sheepskin bean bag chair can be purchased online for nationwide UK delivery, or can be collected from our Saffron Walden shop in Essex, close the Cambridge.